Are you ready for the summer heat? In this post, I’ll show you how to make lemon balm lemonade. Stay calm, cool, and hydrated all summer long with this herbal twist on an old favorite. While summer is a time of lazy days and longer nights, it can also be busy and full of activity. Combining herbal infusions and superfoods like raw honey and detoxifying lemons will not only allow you to enjoy easy summertime living, but will also prepare your body for a lot of fun in the sun! Need a break from busy end of the school year activities with the kids? Are picnics, summer camp, and vacation planning making you feel frazzled? Are you looking for a perfect refreshing beverage to serve at a summer event? If so, you may find a soothing glass of lemon balm lemonade to be the perfect compliment. Lemon balm (Melissa officinalis) is one of my favorite herbs. Although it is a member of the mint family (Lamiaceae), it has a natural lemony flavor and smells so light and uplifting! Lemon balm is often used for anxiety, nervous conditions, mild depression (Chevallier, 2000), and to reduce stress (Kennedy et al., 2004). It also has an uplifting, heartwarming quality to it that makes you feel comforted, and it’s considered toning to the body as it repairs the nervous system (Hoffmann, 2003). In a 2004 double-blind, placebo-controlled, randomized experiment, volunteers showed improved mood after receiving 600-mg dose of Melissa (Kennedy et al., 2004). If you are feeling down and stressed out, lemon balm can help bring calm and lightness back into your life. Lemon balm is also used to soothe digestive issues, particularly those that may be caused by anxiety or upset (Hoffmann, 2003). Lemon balm contains a rich concentration of oils, specifically citral and citronellal, which are antispasmodic and help to calm both the nervous and digestive systems (Gladstar, 2012). I have personally been using lemon balm for years. When my son was young and had colicky, cranky moments, it frequently saved the day for both of us! My favorite application for children is to make a lemon balm glycerite and offer them a few drops before offering yourself a few, too! Its sweet, sunny taste and uplifting nature will sure to be welcome. As Rosemary Gladstar exclaims, “It is probably the most delicious tincture you’ll ever taste” (Gladstar, 2012, p. 160). You can enjoy the sweetness of this liquid sunshine in a lemonade, as well. Your whole family will love it! Bring 2 cups of filtered water to a boil. Turn off heat and add dried lemon balm to water. Cover with a lid and let mixture steep for 15- 20 minutes. Strain mixture through a metal strainer, nut bag, or muslin cloth into 2 quart glass jar or pitcher. Let the liquid cool slightly before adding honey. Mix until honey is completely dissolved. Add ice until water level raises in the jar by 2 cups. Stir until liquid has completely cooled and ice no longer melts. Add 2 cups of lemon juice. Add enough water to fill a glass pitcher or jar to the top (8 cup mark) and stir well. Serve over ice and garnish with fresh lemon balm leaves, basil, mint, or lavender. **Next time, try replacing lemon balm with lavender for another tasty, calming beverage! I enjoy making lemon balm lemonade while singing the song “Melissa” from the Allman Brothers. Although it’s never been confirmed; I have a feeling the song pays homage to this sweet, cheerful plant. To sweet Melissa” (Allman, 1972). Using fresh herbs and fruit from your own garden is an ideal option. Lemon balm is fairly easy to grow and is versatile; the leaves can be used fresh or dried. Lemon balm is a fast-growing perennial. It loves growing in a bit of shade but will also thrive in the sun. Keep the soil moist but well-drained to keep your plant happy (Gladstar, 2012). Lemon balm smells wondrous, so plant it in a spot where your friends can walk by and get a whiff. Gently pinch some fresh leaves off (best harvested just before flowers open), and share the love! If you don’t have the option of harvesting fresh lemon balm, you can always choose to purchase high-quality organic herbs and fruit when possible. My favorite source for dried herbs is online at Mountain Rose Herbs. You can buy organic lemon balm in bulk here! It’s also a great idea to support local farmers by buying fresh lemons, local honey, and local herbs at the farmer’s market. You can learn even more about lemon balm and its health benefits in the following blog posts: Lemon Balm: The Immortal Life of Bees and A Family Herb: Lemon Balm Benefits. Chevallier, A. (2000). The encyclopedia of herbal medicine. London: DK Publishing. Gladstar, R. (2012). Rosemary Gladstar’s medicinal herbs: A beginner’s guide. North Adams, MA: Storey Publishing. Kennedy D.O., Little W., Scholey A.B. (2004). Attenuation of laboratory-induced stress in humans after acute administration of Melissa officinalis (Lemon Balm). Psychosomatic Medicine, 66(4), 607-13. Scholey A., Gibbs A., Neale C., Perry N., Ossoukhova A., Bilog V., … & Buchwald-Werner S. (2014). Anti-stress effects of lemon balm-containing foods. Nutrients, 6(11):4805-21. Allman, G. (1972). Melissa [Recorded by Allman Brothers Band]. On Eat a peach [Vinyl]. Miami, FL: Capricorn Records. (December 9, 1971). 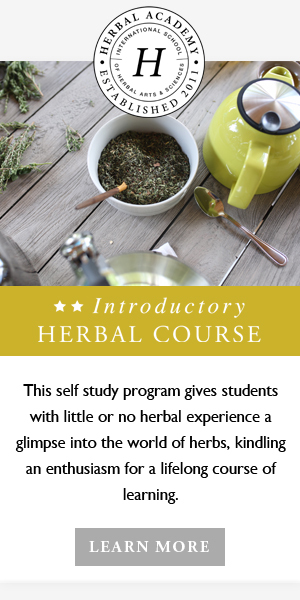 Katie is a certified herbalist and holistic health coach in San Diego where she runs a community pop-up shop that provides herbal and wellness education to the community. She is passionate about natural living, herbalism, aromatherapy, wellness, and spirituality. Connect with her on her website, Etsy shop, or Instagram.